Xiaomi is rumored to launch a new flagship series called POCOPHONE. While there is no official confirmation from the company, the POCOPHONE F1 was revealed through the certification websites. According to the source, the device is said to come with flagship specifications. 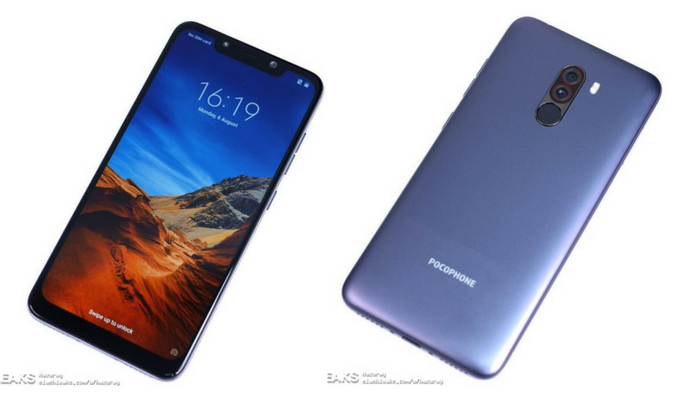 From the leaked images, the front of the POCOPHONE F1 looks similar to the Mi 8 smartphone launched in China. Unlike the Mi 8, the POCOPHONE F1 will be coming with a metal unibody design. Before going any further, take these details with a pinch of salt. It sports a 5.99-inch display with Full HD+ (2246 x 1080 pixels) resolution and 19:9 aspect ratio. As mentioned above, there is a wide notch on the top of the display. Under the hood is the Qualcomm Snapdragon 845 Mobile Platform coupled with Adreno 630 GPU. The device will also feature liquid cooling to offer peak performance. It mentioned to come with 6GB of RAM and will be available in 64GB and 128GB storage options. There will also be a MicroSD card slot for further expansion of storage. It will be running on Android 8.1 Oreo out of the box with MIUI 9 skin on top. On the rear, there is also a circular fingerprint sensor. Coming to the cameras, the POCOPHONE F1 will sport dual cameras on the rear featuring 12MP and 5MP sensors. On the front, there is a 20MP single camera for selfies. Along with the rear camera, the front camera will also be accompanied by a LED flash. The device is backed by a 4,000mAh battery and supports Quick Charge 3.0 via a USB Type-C port. Stay tuned on PhoneRadar for more details about the upcoming POCOPHONE F1 from Xiaomi! The post Xiaomi POCOPHONE F1 with Notch Display & Snapdragon 845 Leaked appeared first on PhoneRadar.